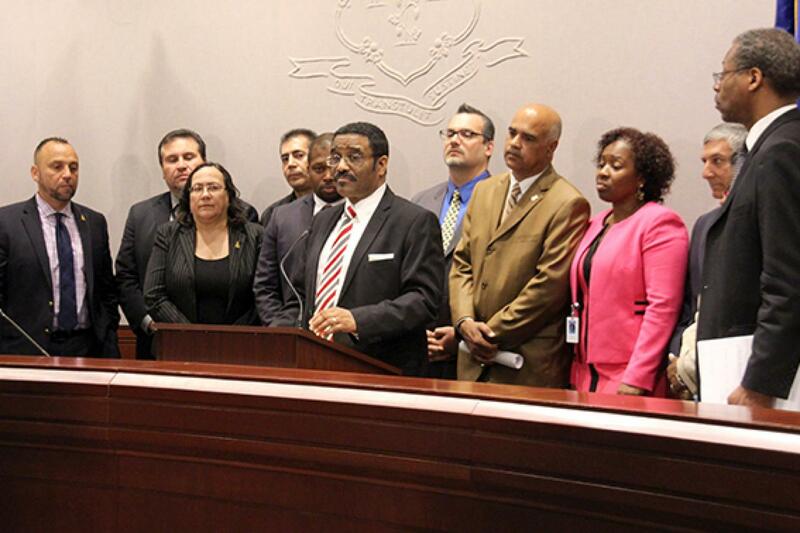 I joined my Black and Puerto Rican caucus colleagues at a press conference in Hartford, in support of legislation to increase police training and address recruitment issues to ensure the hiring of more officers who live in the communities in which they serve. The legislation we are supporting requires the appointment of special prosecutors in cases where there is a death that involves an officer and the use of physical force. The measure will be included as an amendment to Senate Bill 1109, An Act Concerning Excessive Use of Force. $15 million will be included in a future state bonding package to pay for acquisition of body cameras.